Blue-Bot is Bee-Bot's big brother who can do everything Bee-Bot can with an exciting addition--Bluetooth communication. Use the buttons on the back to program Blue-Bot just like Bee-Bot. You can also pair Blue-Bot with an iOS or Android tablet and use the free app to control Blue-Bot remotely. 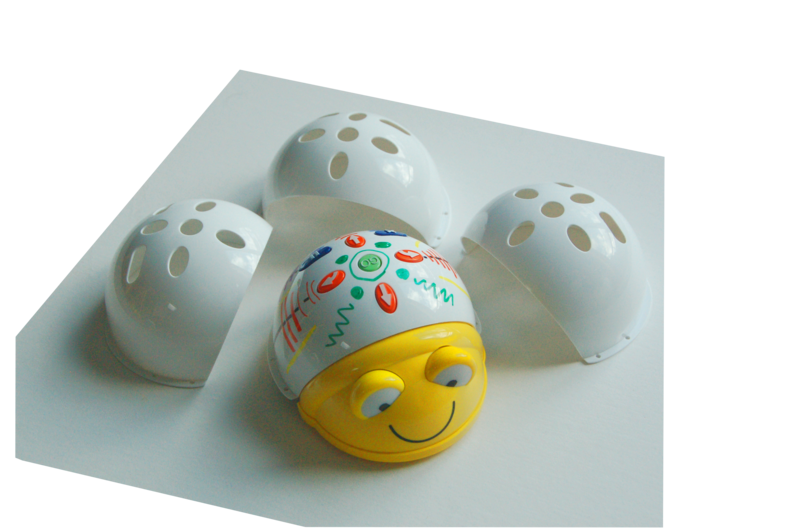 Terrapin offers many accessories specially designed for Bee-Bot and Blue-Bot that enhance using the robots in the classroom or at home. All accessories are interchangeable between Bee-Bot and Blue-Bot and and work well with the mats and curriculum too. Terrapin offers a broad line of Bee-Bot and Blue-Bot classroom mats designed for and scaled for the robots and interchngeable between them. These colorful mats offer a great surface for the robots to run on. 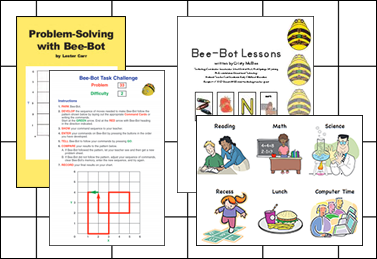 The wide variety of designs provide opportunities to use Bee-Bot and Blue-Bot to boost learning across a wide range of subjects. Each is made of durable vinyl which is easily cleaned and stored and will provide many hours of learning and fun. Terrapin offers a variety of materials to guide the use of Bee-Bot and Blue-Bot in the classroom.